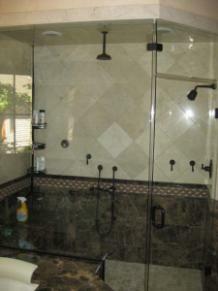 You can have beautiful marble tile in your shower. How? 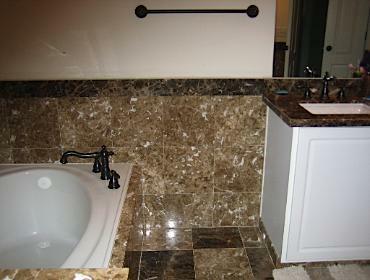 Call us at Superior Stone and Tile and we will be more than happy to work with you, whether you are remodeling your home or building a new house or putting up a brand new commercial building. 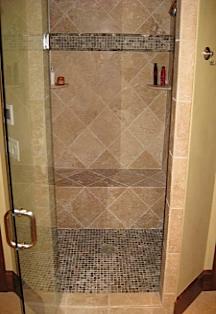 Showers can be designed with or without a shower curb to step over and they can also be designed with or without a shower door. 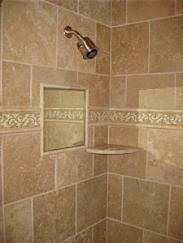 Marble, travertine and limestone tiles are usually used in showers. 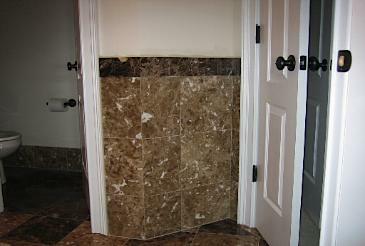 The sizes of the tile vary from 1x1 up to 24x24. No matter if your shower is small or large, features that can be added are decorative tile, decorative tile panels,corner shelves, recessed soap and shampoo niches, benches and mirrors. 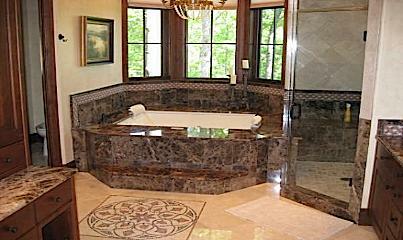 Don't forget about your bathroom floors, vanity tops and wainscots. A beautiful tile floor with a matching wainscot can make a world of difference. 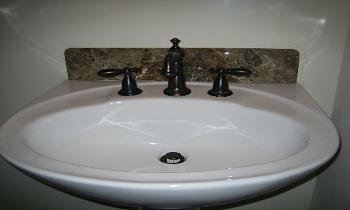 Powder rooms can be changed dramatically by just adding a single back splash to the sink. It's very reasonably priced and it's not something that is automatically installed. 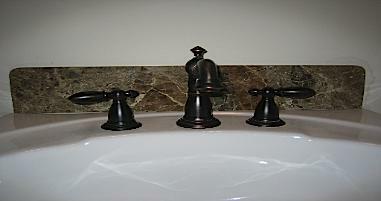 This is a great way to add some zing to your pedestal sink! 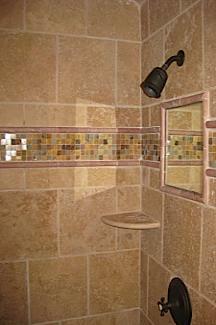 We custom make the back splashes; it's simple to do and they can be made in any color.